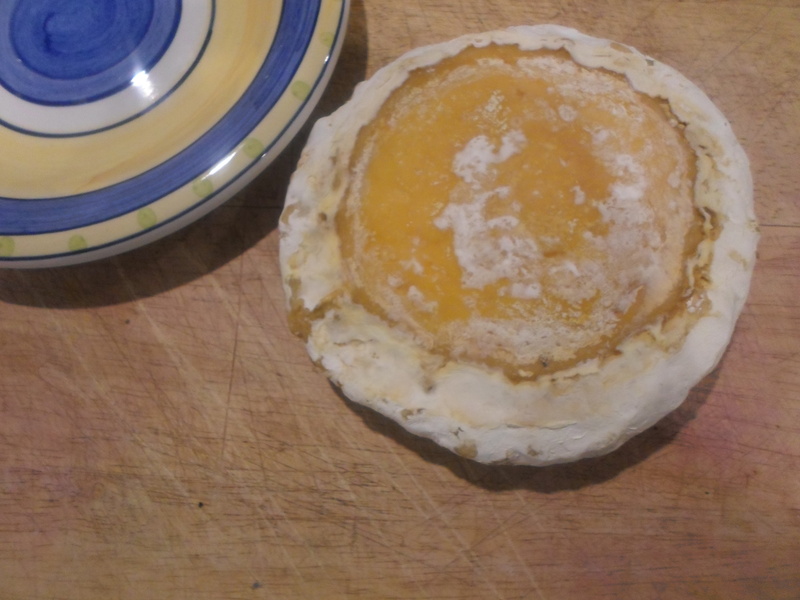 It has been a long and windy road on the path to becoming an artisanal cheesemaker, and I feel like I have finally taken a step forward; my camembert has finished ripening, and it is edible! I cannot say that it is in an ideal condition but I think I can chalk this one up as a win for me. 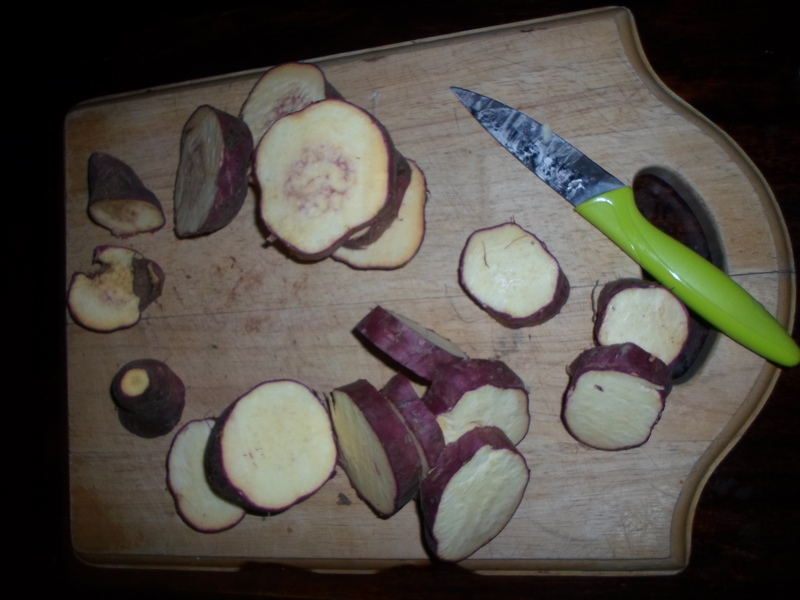 The sharp, pungent odour escaped the wheel as I delicately cut it open, although I didn’t smell it until several minutes later when I finally let out a sigh of relieve. The soft centre of I speckled yellow wheel did not ooze out onto the plate, or stick to the edge of the knife with each attempt of cutting it, nor did it crumble at the slightest touch. While I didn’t really resemble the cheese of my initial vision, I think that it actually turned out perfect for the situation I ended up eating it; it sliced thinly and held its shape to fit perfectly atop of a cracker or as the cracker with pesto or chutney spread across it. I love eating sharp, hard cheeses with sweet fruit chutneys, each bite of my cheese tasted like a mouthful of the Mediterranean (in a good way) which was great salty contrast to serve with preserved plums and sweet, fresh grapes. Since starting to make my own cheeses, I have begun experimenting with different ways to use it. Although feta goes great on toast with a drizzle of honey, I thought it was probably a better idea to push my abilities more than that, regardless of how good it might taste. I have been pleasantly surprised with feta’s versatility; its creaminess allows for it to break down into a rich sauce, yet it is soft, spreadable and ideal for a snack of crackers or bread. It is also able to hold its form rather well when baking. And that is what I am doing with it in this recipe. Even though I have never been to Greece, I think that it is probably my food spirit country, a member of the long list of ancestors’ homelands, I have a hereditary love of olives and feta, don’t get me started on the correct way to make horiatiki or moussaka, and we have previously discussed how obsessed with baklava I am. 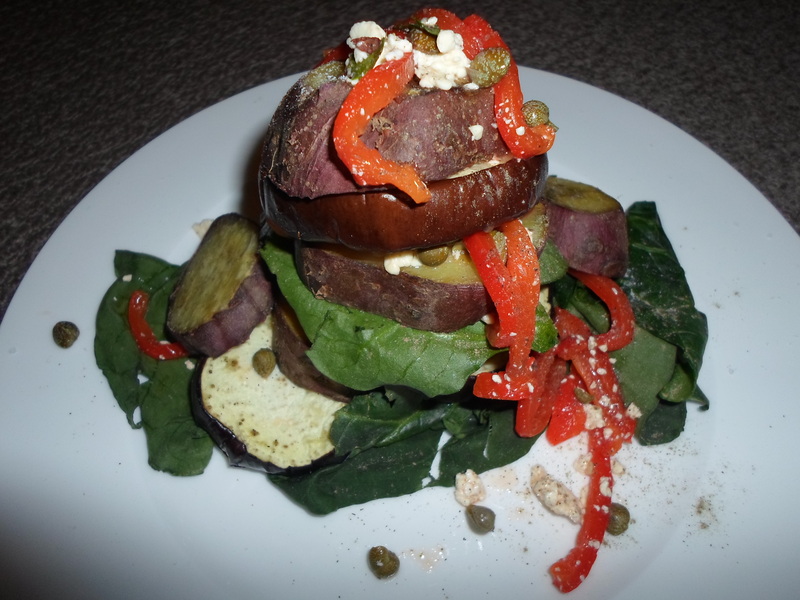 This recipe is not a Greek dish per say, but it is inspired by Greek flavours, adapted from a recipe I found in an old cooking magazine recently. 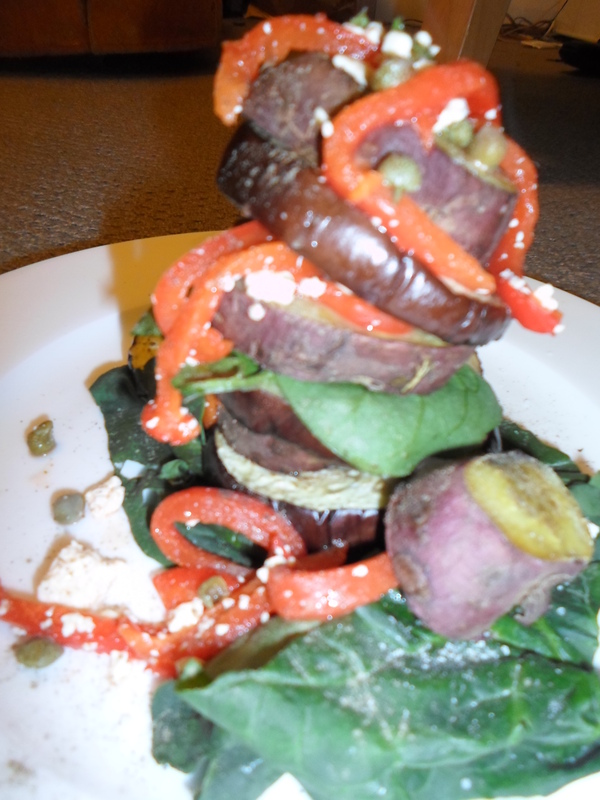 The proportions for this dish are very fluid, and my fluid I mean you can add as much as you want of anything. 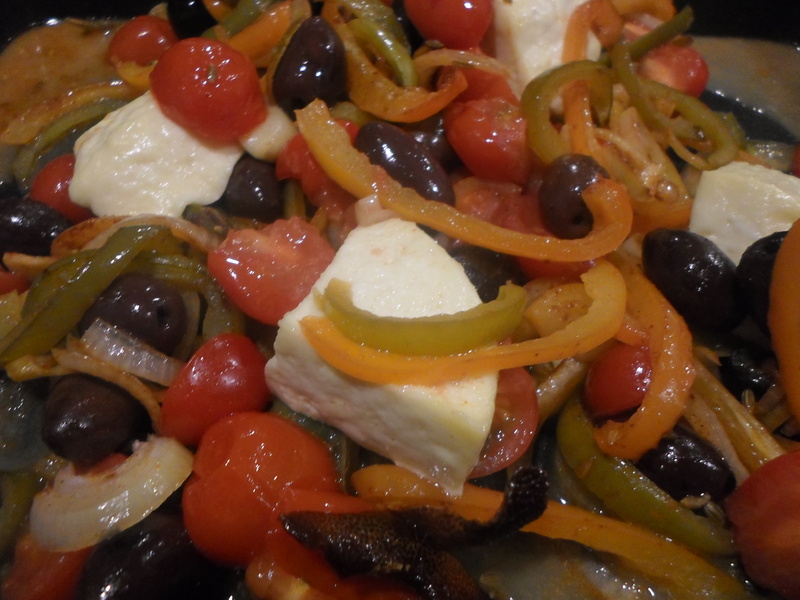 But here is what I used: one green and one orange bell pepper, one punnet of cherry tomatoes, one onion, about 200grams of feta (yours doesn’t have to be homemade, but mine was) and about ½ of a large jar of olives. 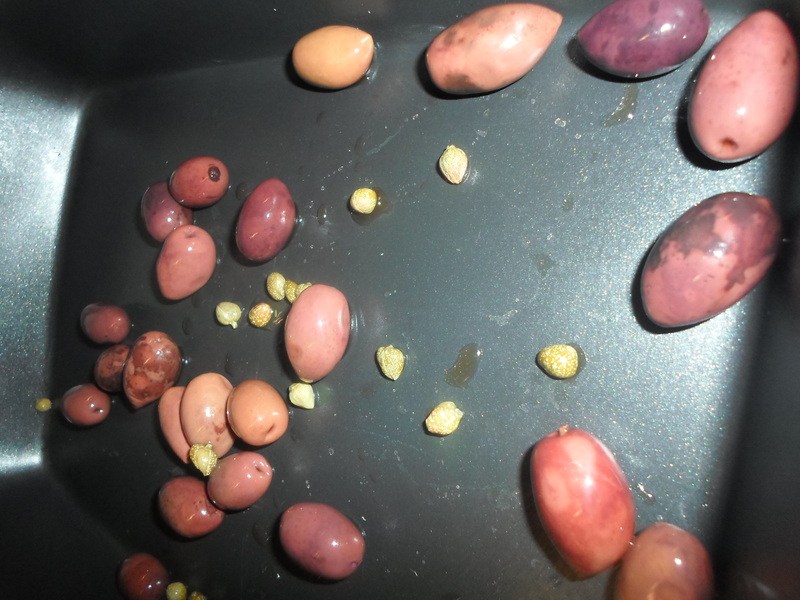 I used Kalamata olives but any kind will work, if possible, try and avoid pitted olives because they won’t keep their shape when they cook. To start with, thinly slice your onion and combine it with a small dash of lemon juice and a teaspoon of sugar. 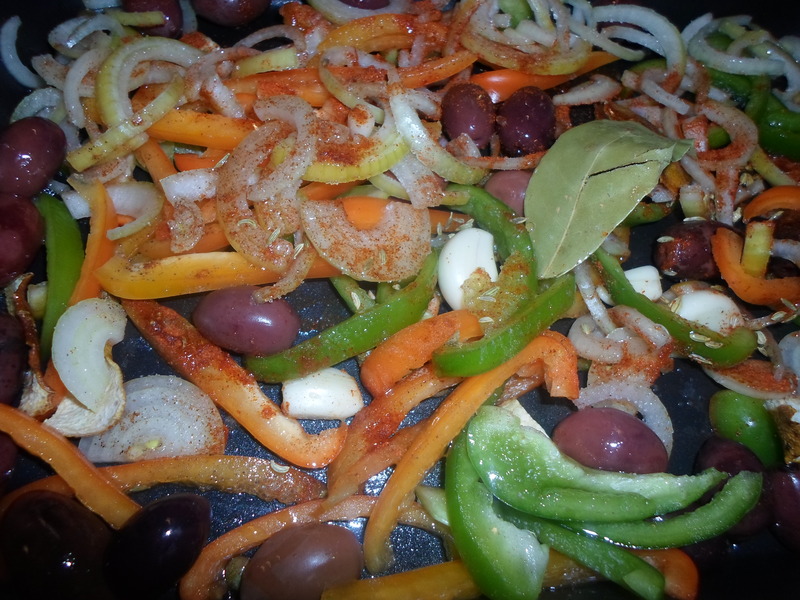 Thinly slice the peppers and place them in a large roasting dish with the onion and olives, you can also add some whole, peeled garlic cloves if you so desire. 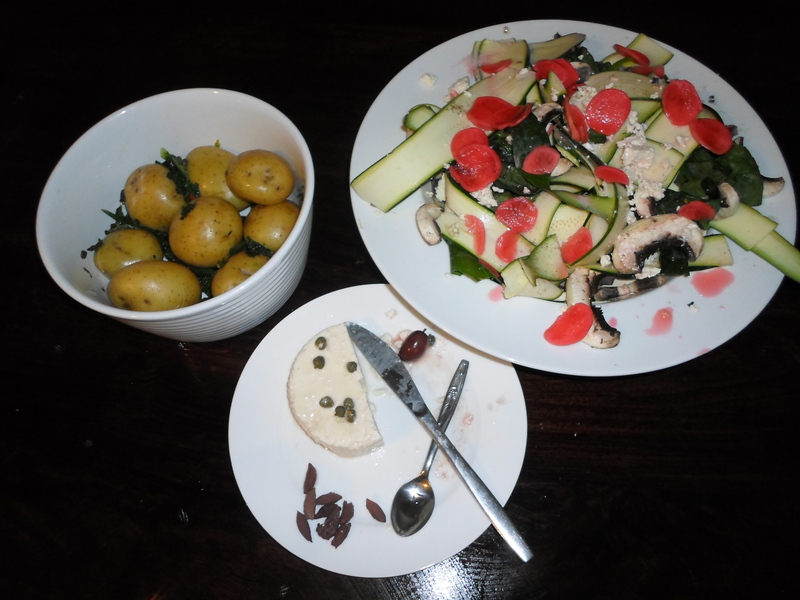 Season with salt and pepper to taste, drizzle with olive oil, a dash of red wine vinegar and add a bay leaf. Depending on your tastes, you can add a teaspoon each of chilli powder and fennel seeds, a dash of cinnamon and the zest of a lemon (I used dried lemon peel). 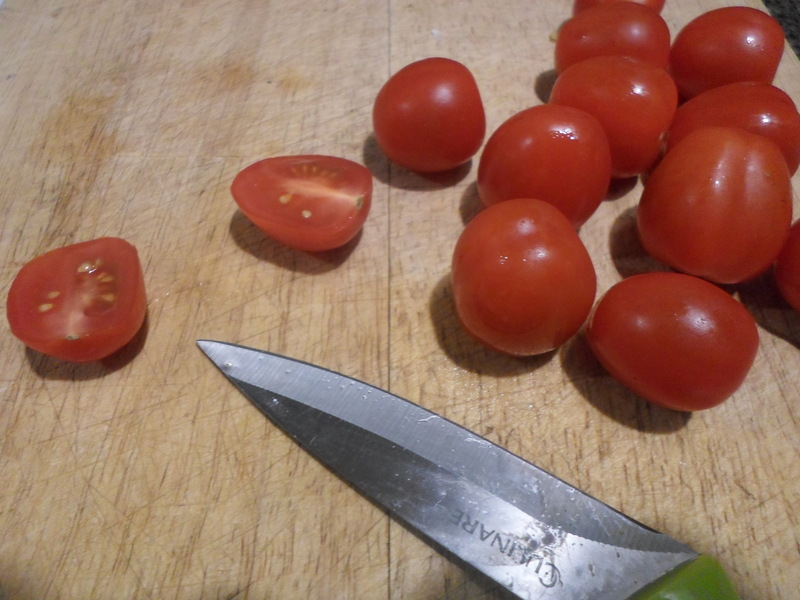 Roast at 180°C for 25 minutes, stir is occasionally to get an even roast and cut the tomatoes in half while you wait. Break the feta into quarters, place on top of the vegetables and pour the chopped tomatoes over top, add more pepper if you think it needs it. Bake for another 10 minutes, the tomatoes will become tender and the cheese will soften and begin to crisp up slightly. 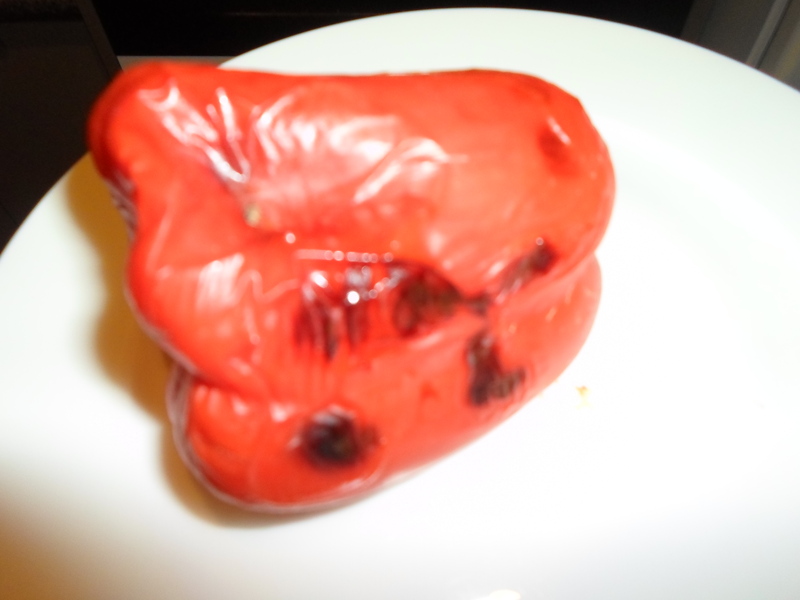 It is best that the tomatoes do not become too tender and lose their shape, too long in the oven and this will happen to the feta too. As a summer meal, serve the dish warm, with a loaf of crusty bread to soak up the juices. This dish has all the makings of a delicious, comforting winter meal; add lamb fillets or chops to the dish before you begin cooking. Hobbies are a good thing to have, we all need hobbies. I have been reading a lot lately about artisanal cheese makers and the ever-expanding market in which these cheese makers have found themselves in. 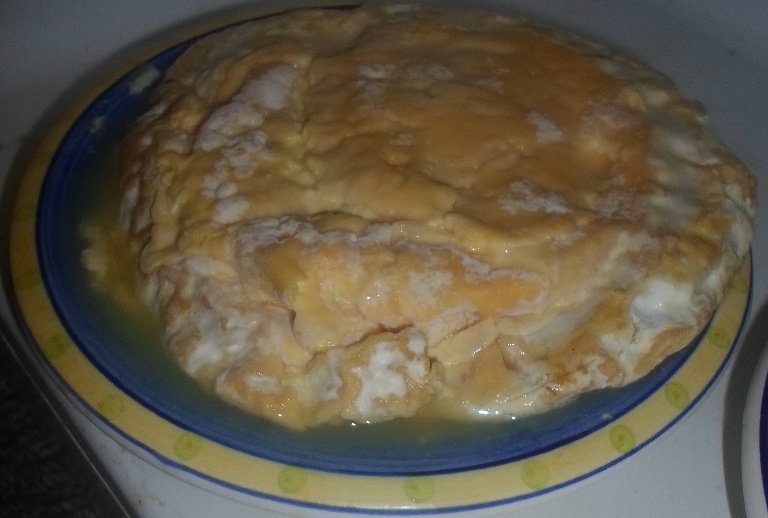 So, to mark two years since I arrived in France, I decided to try my hand at home-crafted cheese. I have his romantic idea of moving to the countryside somewhere and becoming an artisanal handyman, where I would make cheese from the goats I milked, and make jams and preserves from the fruit on the trees that I prune and tend to. Obviously, with this post celebrating ‘French-ness’ I should be making a French cheese; camembert, gruyere, reblochon, etc. But these cheeses are pretty difficult to make and I don’t want to start my cheese making career off with a failure, so I think I will just work up to that. To start off with, I decided to make ricotta. 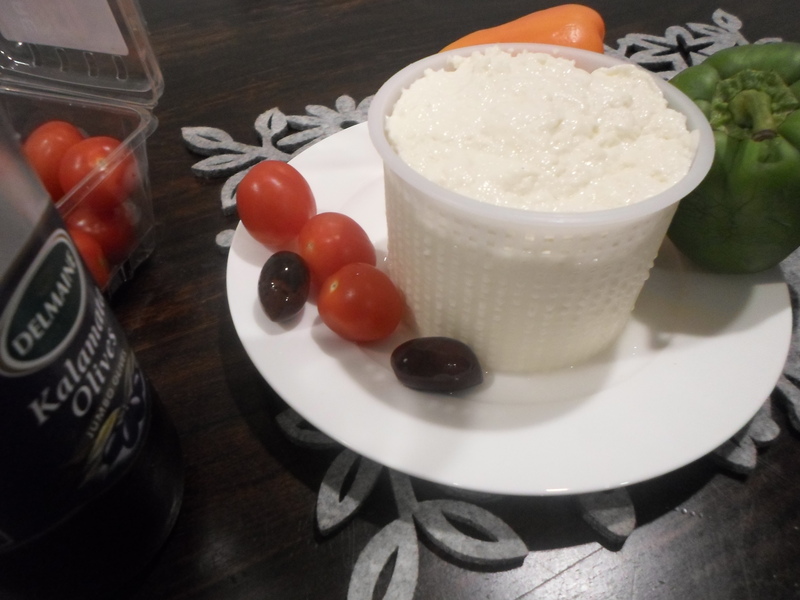 Ricotta is an Italian cheese similar to the Spanish ‘queso fresco’. The name means ‘re-cooked’, i.e. the milk is heated to a higher temperature than other cheeses. 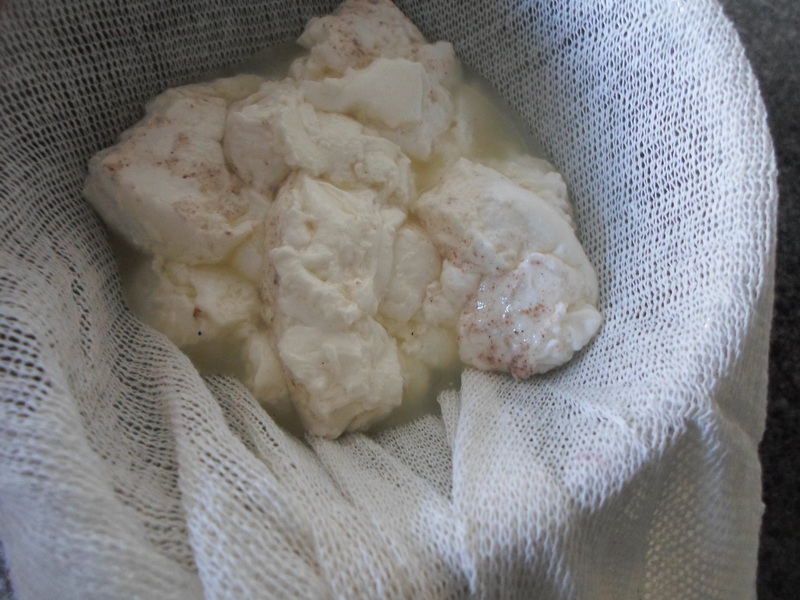 The milk being heated to a higher temperature means that ricotta is not a live culture cheese, it does not need time to develop mould over time in order to gain its flavour texture and of course, its smell. Cheeses like ricotta, feta and queso fresco can all be eaten the same day they are made. This is good news if you have a short attention span and love cheese. Cheese production can be on as small or as large of a scale as you want it to be, for this reason instead of a recipe, I will give you somewhat of a maths equation… for every 1 litre of milk, you will need 7.5mls of rennet or other acid and 1.5 cups of boiling water. Firstly, let’s talk rennet. Rennet is an enzyme that curls milk, it is naturally produced my calves to solidify milk particles and make them digestible. 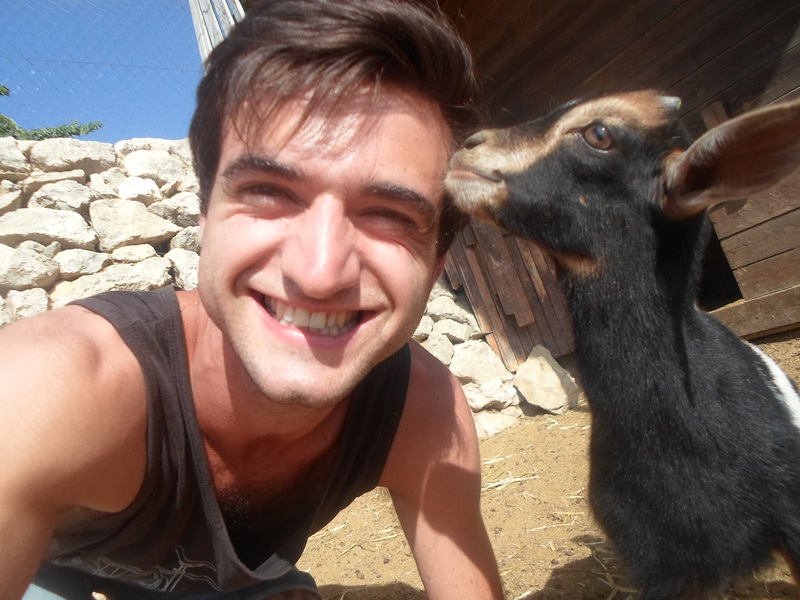 Rennet is also the reason why some vegetarians do not eat cheese- as it is an animal by-product. 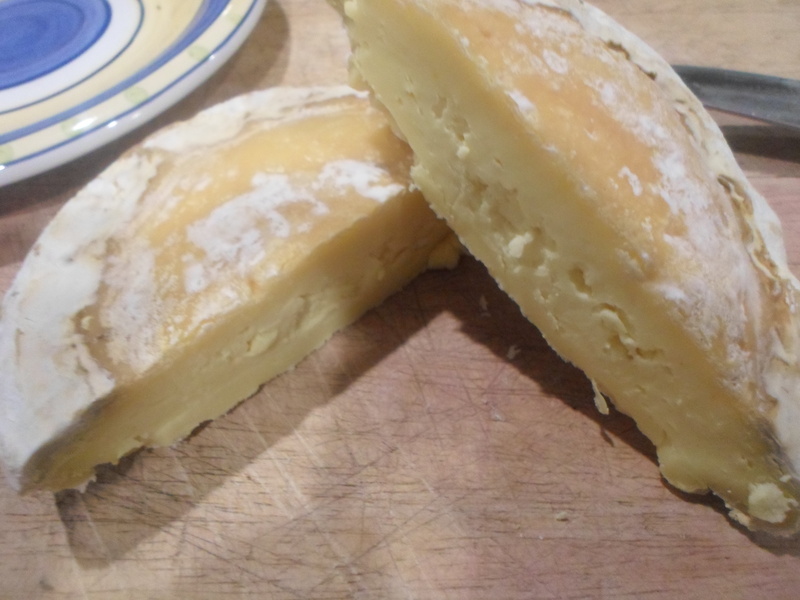 There is such thing as vegetarian rennet if you want to make vegetarian cheese. 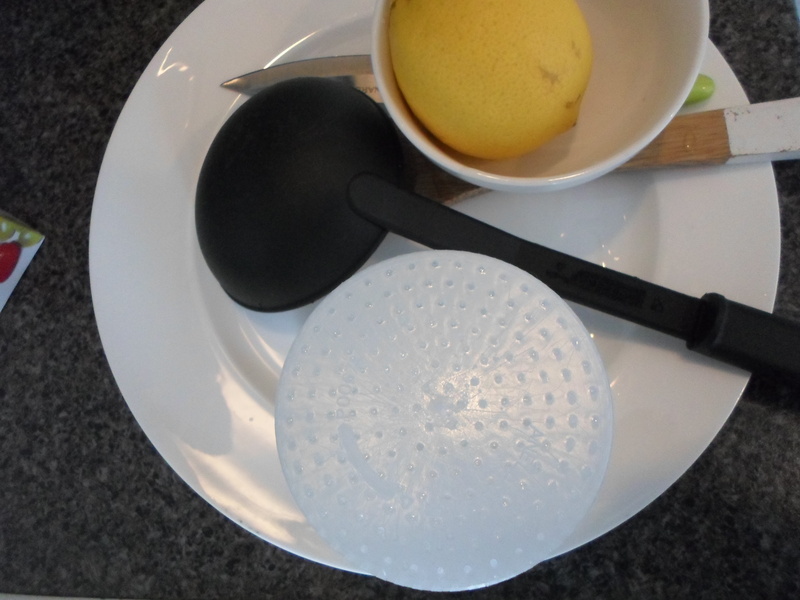 When I learnt to make queso fresco in Spain, we used lemon juice as the acid does a similar job. I experimented with a mixture of rennet, lemon juice and apple cider vinegar. Rennet is a sure-fire way of knowing your ricotta is going to work out and the concentration is always going to be the same. Lemon juice doesn’t have this consistency as one lemon is going to vary from the next. Apple cider vinegar creates a nice tart and dry ricotta, so it is perfect to use if you want to cut the ricotta into slices. 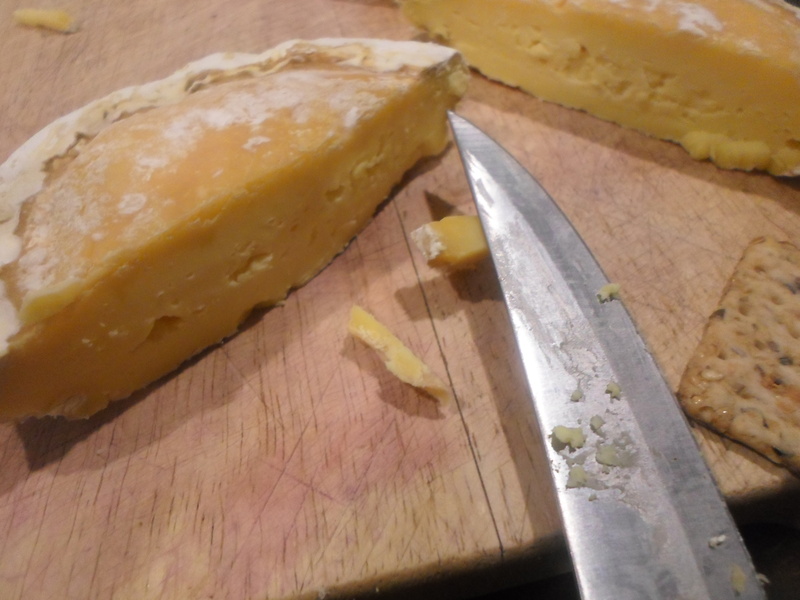 If you are more partial to crumbly cheese, then I suggest you use lemon juice. Ricotta can be served sweet or savoury. For the sweet version, add a teaspoon of sugar to your milk, for savoury, add a teaspoon of salt. 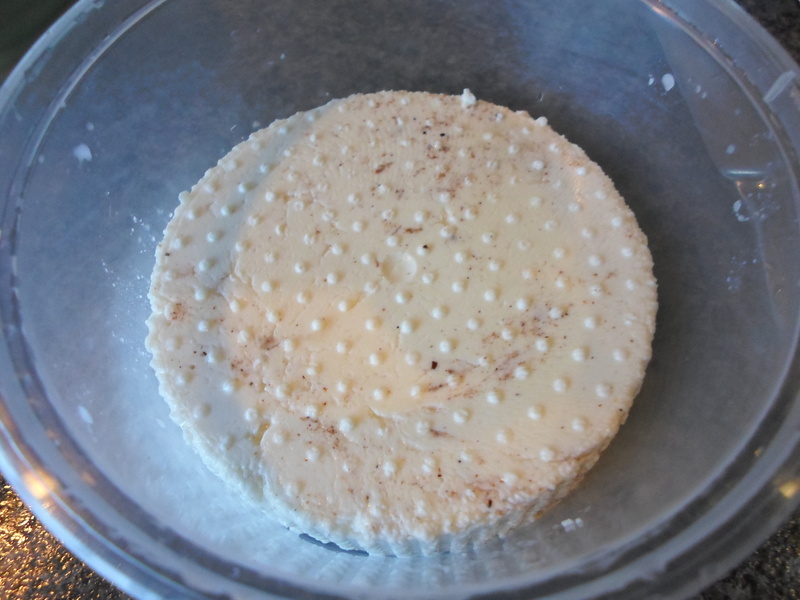 I did both versions and both are delicious, I also added a pinch of nutmeg and cinnamon to my sweet ricotta. Place your milk in a large saucepan and warm on a very low heat; you only need it get it to about 22°C – or just below room temperature. If you have a milk thermometer you can use it, if not use your judgement after a couple of minutes. With a cheese like ricotta, the creamier the better! So use full fat milk, the highest fat content I could find was 4% so I suggest you look for something similar. Next, take it off the heat and add your rennet or acidifier. There is no need to stir it as the curds will automatically cling to each other. Leave the milk to curdle for at least an hour. 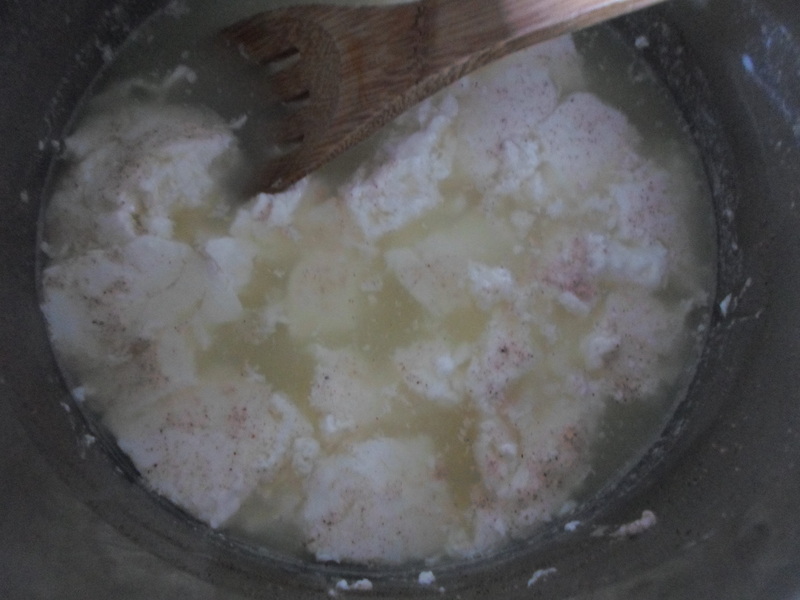 After an hour, a large clump of curds will have formed in a sea of whey. Cut through the curds with a wooden spoon and pour over the boiling water; this will help separate the curds and the whey even further. 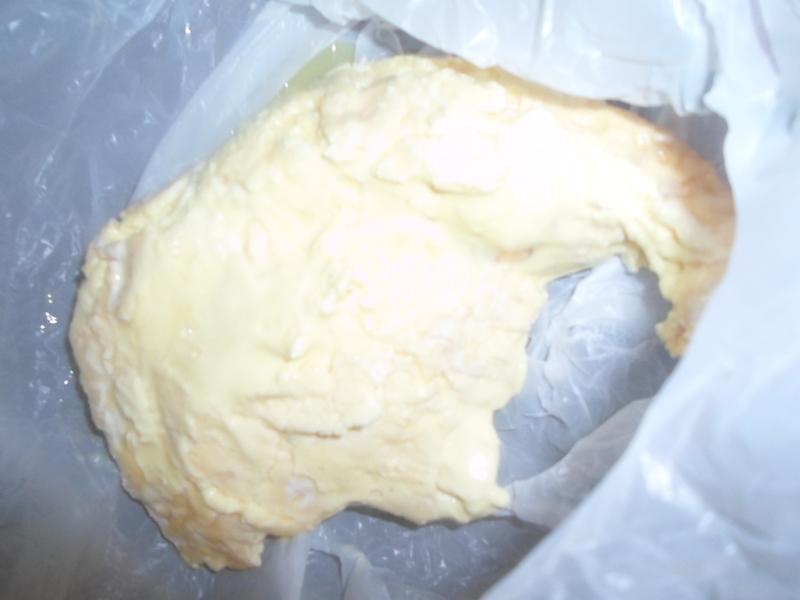 Leave for an additional ten minutes before straining the curds through a cheese cloth and placing it in a mould to set. Discard the whey if you like, but it is very high in protein so it can be added to a smoothie for a bit of a health kick! 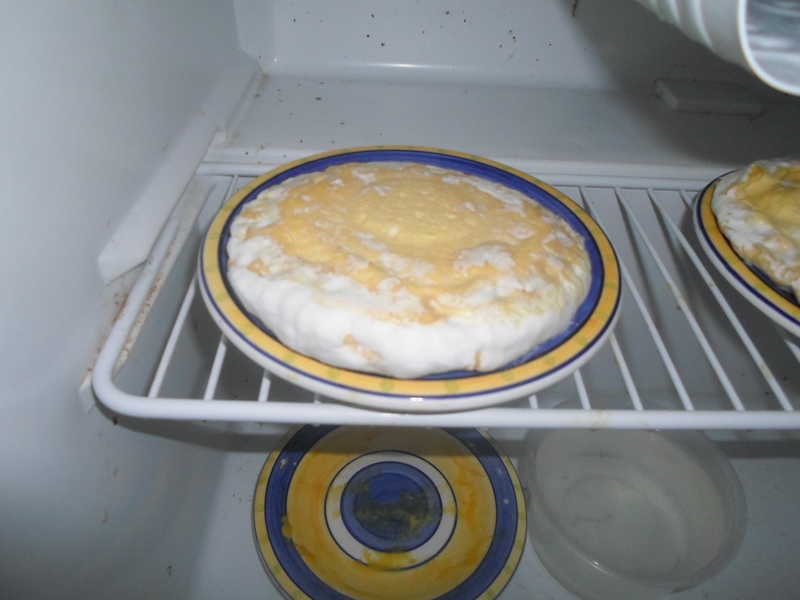 Place the mould in the refrigerator for another hour to get rid of as much liquid as possible, now it is ready to eat! You could also place it is a bath of high concentrated salt water for several more hours if you want to turn it into feta (highly recommended also). What I love about ricotta is that it is so versatile; eat it as it is, incorporate it into a salad, use as the base ingredient of a cheesecake or spread on toast with a drizzle of honey. 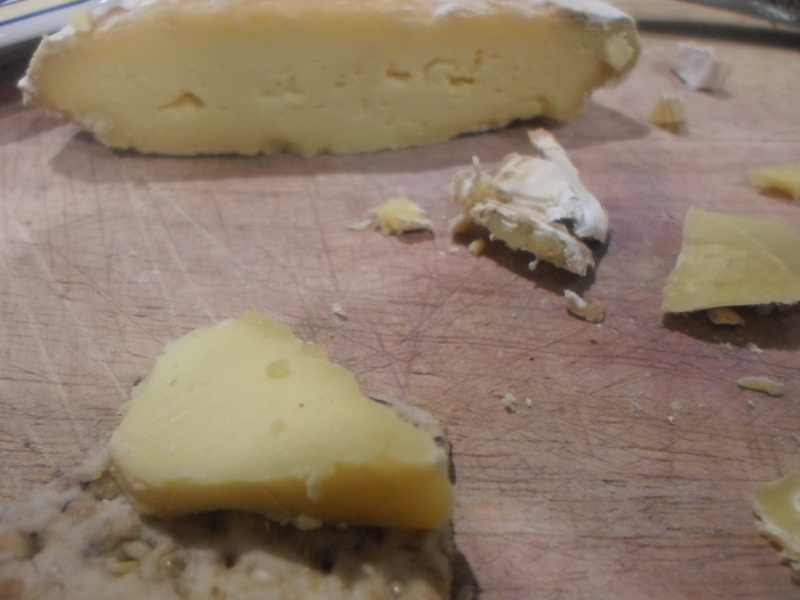 My next entry into my cheese diary will be a harder cheese, I am not sure what though. My two choices are blue vein cheese or camembert, camembert will be a bit more difficult, but do you think I am up for the challenge? What do you think?